The procedure to place a dental implant takes 30-to-60 minutes for one dental implant and only 2-to-3 hours for multiple dental implants. The number of appointments and time required, vary from patient to patient. 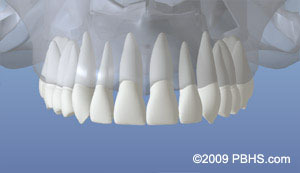 The surgeon will bring great precision and attention to the details of your case. 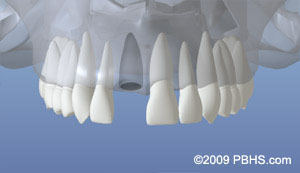 Occasionally, impressions are made at the time the dental implant is placed. This enables the dental crown to be ready when the dental implants have healed. How long your mouth needs to heal is determined by a variety of factors. Follow-up care (one to four appointments) is usually needed to ensure that your mouth is healing well and to determine when you are ready for the restorative phase of your treatment. It may be beneficial to perform a soft tissue graft to obtain stronger, more easily cleaned and natural appearing gum tissue in the area around the dental implant. This process involves moving a small amount of gum tissue from one part of your mouth to the area around the dental implant. Most often, it is a brief and relatively comfortable procedure.